This 2019 Investing in African Mining Indaba reached new highs on day three, with various presentations and panel discussions coming thick and fast across the four stages. 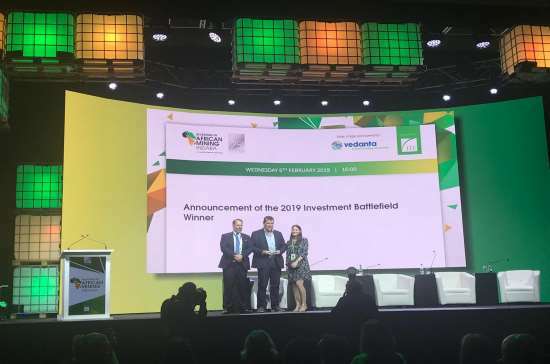 On the main stage, the highly competitive investment battlefield reached its climax ahead of the Indaba’s glitzy 25th anniversary party in the evening. The International Council on Mining and Metals (ICMM) released the second edition of its Integrated mine closure: good practice guide, which intends to promote a disciplined approach to integrated closure planning for its members and other responsible mining companies. ICMM was joined by the Intergovernmental Forum (IGF) and the World Bank at the Cullinan Hotel in Cape Town to discuss the topic of innovations in mine closure, coinciding with the Mining Indaba and ICMM’s Integrated mine closure guidance. The head of emerging mining at Minerals Council South Africa has revealed that a government-initiated fund for junior mining firms is under discussion with the Public Investment Corporation and the Industrial Development Corporation. Grant Mitchell told a media conference at the Mining Indaba that collaborative efforts were underway to establish a partnership with the public and private sector. Earlier in the week, South Africa’s Mineral Resources Minister Gwede Mantashe expressed a desire to engage more in the emerging miner space, and the recently rebranded Minerals Council will be building on this focus through its junior fund plans. Over the course of the week, Mining Indaba’s Investment Battlefield competition pitted a total of 22 junior mining companies with a market cap below US$50 million against each other in a series of commodity-based heats. On day three of the Indaba, the intensely fought competition reached its conclusion, with four companies qualifying for the final – Prospect Resources, Avenira Ltd, Theta Gold Mines and Orion Minerals. After a final grilling from the ‘Dragon’s Den’ judging panel, it was decided that Prospect Resources were the winners of the 2019 Investment Battlefield and executive director Harry Greaves was invited on stage to collect his award. Prospect is advancing its Arcadia Lithium Project in Zimbabwe – Africa’s second largest hard rock lithium project. Check back to RGN tomorrow for a round-up of the final day of the 2019 Mining Indaba.